Finally, the royal class awakes from hibernation. The first leg of the first knockout round of this year’s UEFA Champions League will be played this week. The big goal of the 16 remaining teams is June 1, 2019 at the Wanda Metropolitano Stadium. In the Spanish capital, the 27th title of the most important European club competition will be awarded. In the knockout phase, the unfamiliar 18:55 clock kick-off times are a thing of the past and all matches are kicked off at 9:00 pm. The pairing of last year’s semi-finalists against the Portuguese champions is considered extremely balanced. Before the first leg at the Olimpico Stadium between Roma and Porto, the odds on the “To Qualify” are almost identical. A favorite is in this game undetectable and accordingly, nuances on the outcome of the game will probably decide. In the first leg, the Roma has home advantage and wants to bring themselves against the Portuguese in a good starting position. The game starts at 9 pm at the Roman Olimpico Stadium! In the past Champions League season, the Giallorossi of Eusebio di Francesco were the big surprise. With a sheer heroic comeback, the great FC Barcelona in the Olimpico Stadium was in the barriers. The home strength was the big advantage for the Romans, who won in the knockout phase all three games in front of home crowd. In the current season, the home games against Viktoria Pilsen (5: 0) and CSKA Moscow (3: 0) were victorious, against Real Madrid put it a 0-2 defeat. Thus, the Romans have retained the upper hand in eight of the last 16 home games in the premier class. Another success last season was top striker Edin Dzeko. The Bosnian Dzeko has scored in the last five knockout matches in the Champions League. In the current season, the Bosnian holds at five goals in four Champions League games. Edin Dzeko’s goal in the match between Roma and Porto will be odds of 2.40 at Interwetten. The Romans are this year for the seventh time in the second round of the UEFA Champions League, so far, the balance sheet with three wins and three defeats is completely balanced. The balance of the Giallorossi in KO duels with Portuguese teams behaves identically. After the blatant 1: 7 dismantling in the Coppa Italia against the Fiorentina Eusebio di Francesco was facing the end. Most recently, he was able to improve his position as Roma coach again a little. With a strong performance against AC Milan (1-1) and a clear victory against Chievo Verona (3-0), the Romans returned to the road to success. Nevertheless, a hussar ride to the semifinals Italians this season is untrustworthy. In the home game against Porto will definitely fail with two players Diego Perotti (winger) and Patrick Schick (striker). Goalkeeper Robin Olsen had to last with calf problems and Konstantinos Manolas (center-back) with a sportsman break on the weekend. Olsen should be fit in time, a Manolas deployment will decide at short notice. FC Porto have scored 16 points and an impressive 15: 6 in the UEFA Champions League group stage. The team of Sergio Conceicao collected more points than all 31 other participants. After a draw at the opening match against Schalke 04, the Portuguese champions won the games two to six each. Impressive is the fact that the Portuguese have scored at least three goals in each of the last four Champions League games. Given these numbers, in the first knockout round first leg between AS Roma and Porto would be a tip to the over 2.5 obvious. However, there is still no good feeling with these bets, because after all there is a lot at stake and both teams will probably not rush forward at full risk from the start. In addition, FC Porto has a lot of staff on offense. Striker Vincent Aboubakar has been suffering from a cruciate ligament tear for several weeks / months. So far, the brawny Moussa Marega has been able to compensate for the loss well, but the 27-year-old will also not be available in the Roman Olimpico Stadium. Thus, the Brazilian Tiquinho Soares (nine goals this season) will act on the front line. Actually, only the number three in the attack, but due to the injuries he currently comes to much playing time. The current lack of power in the offensive was clearly visible in the league last. Both against Vitoria Guimaraes (0: 0) and against FC Moreirense (1: 1) disappointed the Conceicao-Elf and play with it the already comfortable advantage over the competition! For the eleventh time the Portuguese are in the knockout stages of the premier class, the balance sheet is thus clearly negative with only three successes and seven knockout duels defeats. Last year, the dream of the quarter-finals was already destroyed in the first leg of Liverpool. The Klopp eleven outclassed the Portuguese 5-0 in the Estadio de Dragao. In the second leg at Anfield a goalless draw was achieved. With this season’s results, FC Porto have been without defeat for five away games in the premier class (two wins, three draws). Roma vs. FC Porto does not sound like an absolute winner in the UEFA Champions League! Nevertheless, this duel on eye level promises a lot of tension on Tuesday evening. It is a duel in which the outcome is completely open. It is all the more important for the respective home team to stand on the defensive, so that an away goal of the competitor can be prevented. Currently, the away goals rule is still intact, in the future, this could belong to history. The Roma will therefore have to find a good measure of offensive and defensive. An assault can not be expected. In this regard, between AS Roma and Porto the tip on the under 2.5 in the center of interest! Edin Dzeko scored in each of the last five KO duels in the premier class last year! None of the four previous duels Porto lost to the Roma! The two top strikers are missing – Aboubakar and Marega are injured! 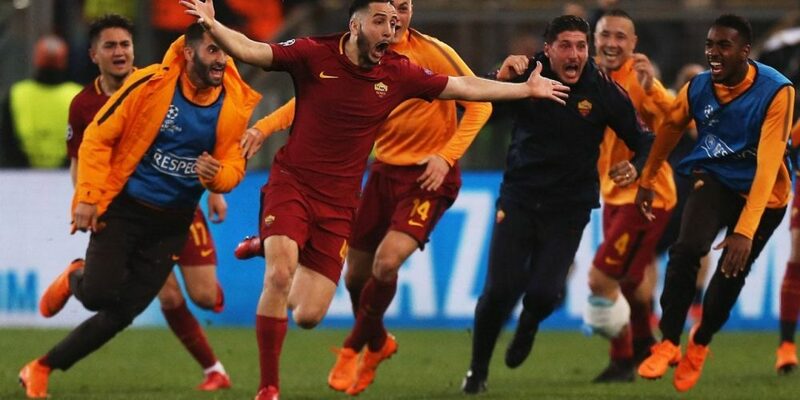 The Romans made in the past season in front of home crowd in the KO phase for pure football spectacle, but then found each of the second legs in front of home crowd and the Romans were under pressure anyway. On Tuesday, this situation is not given and the di Francesco team will act significantly more passive than last year. Porto had broadcast a lot of Torgefahr in the preliminary round, but after the long-term Aboubakar failure could still be compensated, the absence of Marega is a bitter weakening. The Portuguese have recently had big problems in the game forward and will probably come in Roma even fewer chances to score. In a duel at eye level, it is important to avoid mistakes, because even nuances can result in the end. Accordingly, we do not expect many goals and between AS Roma and Porto is a prediction for good odds on the under 2.5 our recommendation, which we allude with a bet of five units (odds 1.92).